What should I pack for my Bansko ski trip? This is a very common question and the answer, once again, is “it depends”. It depends if you are flying with a check-in bag or just a cabin bag. You can go skiing for a week with just one cabin bag. This means you get get out of the airport, into your private transfer and arrive into the resort within two hours. (your first day arrival afternoon hire from 1pm when booking on Banskoblog.com / app is free). You also save between €45 and €90 (£50 and £80) in check-in bag fees. Travelling with young children including with a baby, check in bags, prams and what baby products you should bring and what you can buy in Bansko / Bulgaria is coming soon. What cabin bag should I buy? One cabin bag, not exceeding 55cm x 40cm x 20cm in size and 10kg in weight, plus can be carried per passenger who has purchased priority booking or a Plus/Flexi Plus ticket. Priority Boarding costs €5 if purchased at the time of the initial flight booking, If added via the my booking facility on our website, or up to 45 minutes before the scheduled flight departure time, via the Ryanair app, the fee is €6. There is an outside pocket to put a laptop / iPad. Downsides it that there is no other compartments on the outside to put tickets and passport. My last Samsonite carry-on case had that feature and I now miss that pocket. I recommend samsonite because my last case I used intensively for 25 years. The main zip broke hence replacement above. Cosmetics – small toothpaste, razor, shave cream, shower gel (decanted into a small 25ml bottles), nail clippers, sun block. Put in clear bag. USB Charger Anker 27W 4-Port USB Wall Charger PowerPort 4 Lite with Interchangeable UK and EU Plugs for iPhone 8 / iPhone 8 Plus / iPhone 7 / 6 / 6 Plus / 7 Plus, Galaxy S8, iPad Air 2 / mini 3, Galaxy Note 3 and More . Few things are more useful in life than a fast charger for your iPhone (most Android phones have his already). Combining this fast charger with a long coloured cables or two ensures plenty of quick charging whilst using your phone. iPhone Cable, Anker PowerLine II Lightning Cable 1.8m (6ft). You can hire your helmet, skis, boots, poles, snow board here on banskoblog.com and save money too. If you do not own gloves and goggles then you can buy these quite cheaply in Bansko. You can pick up a piste map in Euphoria (see Bansko App iOS or Android for location) and all clients of banskoblog.com receive a free piste map lens cloth. If it’s your first time skiing try asking your friends and family for ski items. They are little used so make good second hand buys. No need to spend a lot, unless you want to. If you are super minimalist you can, with a squeeze, pack a helmet, If you are flying Ryanair then you can pay for priority boarding and take a separate laptop bag that creates space in your carry-on bag for your own helmet. Don’t pack anything you probably will not need. You can buy almost everything you need in Bansko. Tea (Ahmed tea is excellent), coffee, shampoo, shower gel, plasters, snacks, chocolate are all widely available in Bansko at fair prices. If you’re female, my girlfriend tells me she takes make-up, wet wipes and sanitary stuff and a few more tops. But keep it minimalist. Skiing should be fun and good value — hey, that’s why you’re looking at Bansko and it’s why I started and developed banskoblog.com / App exists. I’m passionate about informing others about what’s good, and not so good, in Bansko. It is easy to forget the basics, so taking less stuff removes this risk. Should you need to get your clothes washed, the laundry service is good. A whole load is just 10 lev for next morning service. Medications such as aspirin, paracetamol are available in one of the many pharmacies (try SUBRA by the Queen’s Pub). 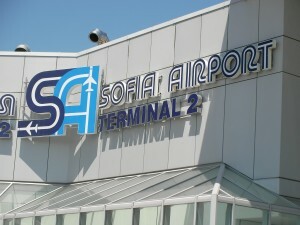 Final tip — If you all have a cabin bag you can get three people in a car for your transfer from Sofia airport to Bansko. This saves on your transfer costs too. Another shameless plug, booking your transfer in the Bansko App (it’s free for iOS or Android mobile devices) is reliable good value and helps support my work. Thank you for reading. You will see some links to product that are available on Amazon. If you click on these links and buy you are helping and supporting me keep banskoblog.com and Bansko App up to date. Using these links does not affect what you pay for the goods in any way. If you found this helpful then subscribe to the newsletter to be occasionally inform. No spam — ever. Guaranteed.